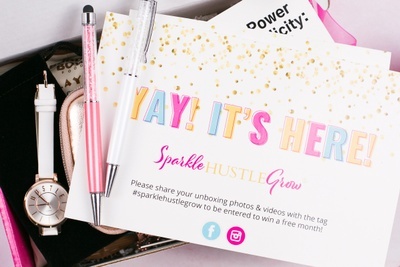 Enter your email address below to receive a notification when Sparkle Hustle Grow starts accepting new sign-ups! Enter your email address below to receive a notification when Sparkle Hustle Grow is accepting new sign-ups again. We ship around the 18th of every month. Please order by the 15th to get the current box. Add a little Happy to your Hustle! Sparkle. Hustle. Grow. 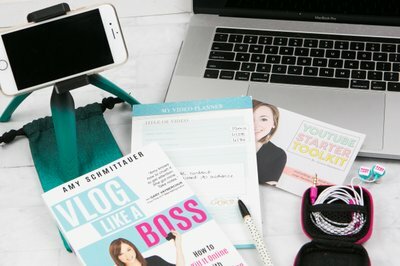 3 things that you can easily achieve when you subscribe to our monthly entrepreneur subscription! The items included support personal growth, your business (with valuable tools + training) and connects you with other passionate female entrepreneurs! Treat yourself to the #BestBusinessExpenseEver! No, the products Sparkle Hustle Grow chooses are applicable to any kind of business owner. 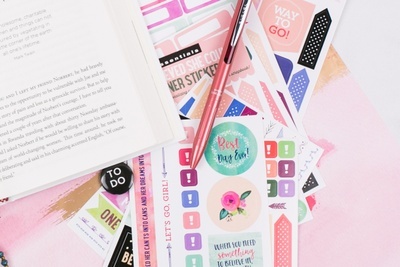 They're motivational and there to keep you organized. 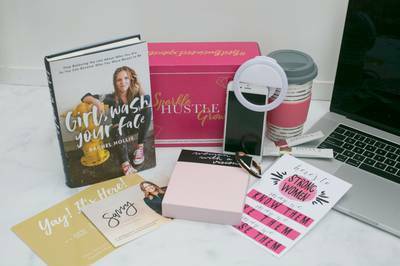 You get 4-6 products for female entrepreneurs to help you organize and stay motivated in your business. 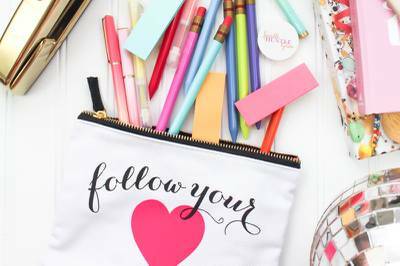 There's always a motivational/self-help book, plus stuff like planners and stationery, goal/habit trackers, jewelry, snacks, office supplies and cute accessories. 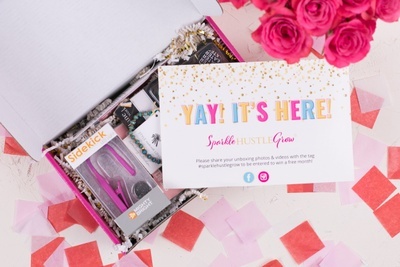 You can cancel by emailing Sparkle Hustle Grow's support team, but to avoid getting the next box, you need to cancel by the 10th of the month. 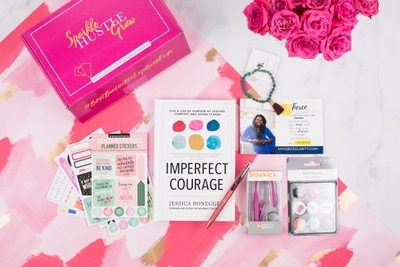 The mailer is a monthly book and admission to online-only stuff for subscribers, like online business training and Sparkle Hustle Grow's private Facebook group. The full-size box is all that plus 3-5 other tools and products (like planners!) to get your business going. Boxes ship on the 18th of the month and shipping depends on the subscription you have -- the regular box is $6 for shipping and the mailer is $3. I love the Sparkle Hustle Grow boxes. The items are always great and helpful to me. I feel like you get more than your money's worth with this box. I have now been receiving this box for a full year, and I still look forward to receiving it each month! Highly recommend to all women business owners, it is fun and inspirational. I am super excited about the book choice for this month and the bracelet from the author’s company. It was such a sweet touch to support a girl boss. Also the pen is awesome! Well curated items that are useful without taking over and making a statement that doesn’t fit every personality. I love the fun assortment of stuff, especially the monthly motivational book. Items are good quality. Look forward to the next one! Received my first month. Packaging is lovely. Items are great quality. And I love the opportunity for networking in the private Facebook group. Great job, ladies! I have had a subscription to this box for a year now and I love it more and more! 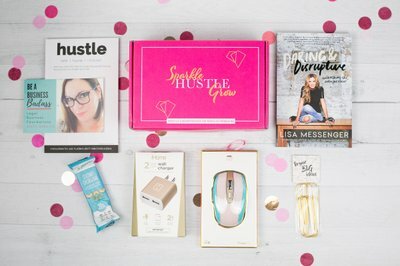 I am an online business owner, and I am always looking for new ideas for marketing and branding, plus I love stationery tools and this box covers both. I was so happy with my first box. I'm just sad that I'm moving and won't be able to continue my box as the postal service where I'm moving is unreliable. Keep up the great work guys, I'll be back as soon as I'm back home! Great products, great customer service! SO happy with my first SHG subscription box! The people behind the boxes are just as great! Thank you! I’ve recommended this box to many friends and all my newsletter subscribers. I always enjoy the book, the office accessories are always high quality and super useful! I look forward to receiving this box every month. Absolutely worth every penny! 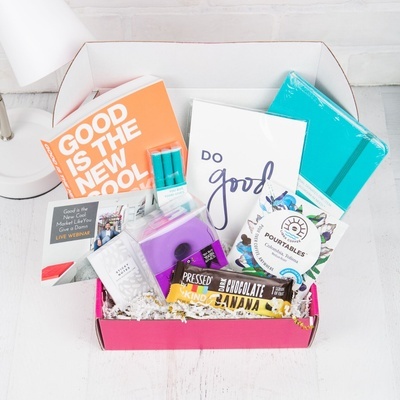 This is the best business box out there! I would know. I review a lot of boxes. 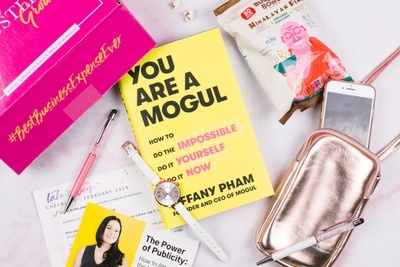 If you want excellent training that averages in retail value at about $100 and up and a book that motivates and inspires you, plus if you subscribe to the full box there’s so many items that go with the theme and fun things too. This is by far one of my favorite boxes!